Are You Addicted to Ecstasy? “E,” molly, alien and elephant are just some of the street names for the popular club drug Ecstasy, which is also known as 3,4-methylenedioxy-methamphetamine (MDMA). Ecstasy became well-known from use at raves and dance clubs. It is usually taken as a pill or tablet. While Ecstasy’s addiction potential is still under debate, some users develop problematic patterns of use and seek addiction treatment. Ecstasy causes a number of mild to severe side effects that vary based on the dose and length of use. Paying attention to specific signs and symptoms of addiction can help you recognize whether you or a loved one might have a problem with Ecstasy. Professional treatment is often the best way to break the cycle of addiction to Ecstasy or other drugs. Who Answers? anytime to speak to a representative about Ecstasy rehab centers near you. Additionally, many users have trouble controlling their use of the drug and seek treatment at addiction centers. Often, people who use Ecstasy abuse other drugs as cocaine or marijuana and may ultimately benefit from treatment for poly-substance abuse. More conclusive research is needed to firmly establish how addictive Ecstasy can be. No matter how classically addictive it is or isn’t, at the point that Ecstasy use begins to cause problems in the life of any individual, substance abuse treatment may prove very helpful. An intense increase in feelings of overall well-being or euphoria. Feelings of closeness to almost everyone, even strangers. A surge in sexual desire. Even “occasional” Ecstasy use can present serious dangers. 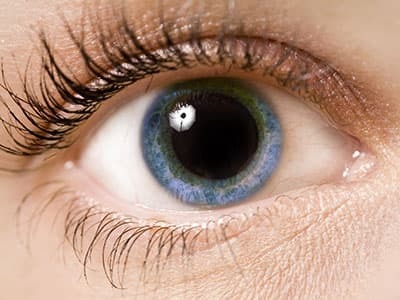 Ecstasy can also be a gateway drug, meaning that using Ecstasy might lower one’s inhibitions to using other substances. Taking frequent and increased amounts of the drug. Taking Ecstasy at times other than when one is at a party or a club. Being unable to stop thinking about the next time one will use Ecstasy. Continuing to use despite pleas to stop from family and friends. Neglecting responsibilities and commitments to attend raves or parties where Ecstasy will be available. Note that in many cases, the more someone takes Ecstasy, the worse these symptoms can become. Have Questions About Paying for Rehab? The cost of Ecstasy addiction treatment will vary depending on a number of factors, such as whether you choose inpatient or outpatient treatment, the duration of treatment, the “perks” (such as those offered by high-end or “luxury” facilities) and the location of the facility. State-run or less luxurious facilities may be more affordable for those on a limited budget who don’t mind having fewer amenities or aren’t bothered by sharing a room with another person. Many people rely solely or at least partially on insurance coverage. But you can finance treatment in a number of ways. Some people choose to pay for treatment with credit cards, knowing that they will have the option of paying off treatment over time instead of all at once. Others may take out private bank loans or borrow money from friends or family. Still others use sources such as crowdfunding. If you are underinsured or uninsured, you can receive referrals to low-cost programs in your community from the Substance Abuse and Mental Health Services Administration (SAMHSA) helpline at 1-800-662-HELP (4357). Long-term inpatient treatment: Long-term residential options may be best suited for people who have a severe dependency, can take time off from work/school and prefer round-the-clock, supervised care. Long-term residential treatment usually lasts between 6 and 12 months. Short-term inpatient treatment: Shorter-term residential options may be best suited for people with numerous responsibilities, who may not be able to take an extended leave of absence from school or work, and who prefer a shorter term of treatment, which usually lasts several weeks. Outpatient treatment: Outpatient recovery is a nonresidential option that varies in intensity and level of care. Some people attend weekly treatment while others go more frequently. Outpatient treatment often consists of group and individual therapy and psychosocial education. 12-step programs: These programs often used, at least initially, in combination with other types of treatment. People who have completed inpatient or outpatient programs often continue their recovery by participating in 12-step programs. As the name implies, 12-step programs are based on the 12 steps of recovery originally developed by Alcoholics Anonymous. 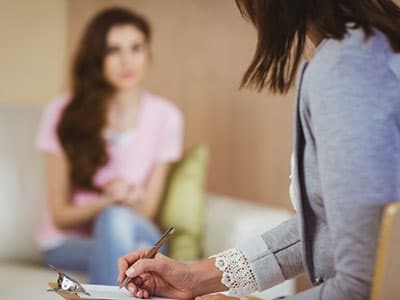 Teen treatment programs: These programs are specifically designed for adolescents with substance abuse problems, and they are almost always based on behavioral interventions. 3 Teen programs can involve similar components of other types of treatment, such as inpatient or outpatient, depending on the adolescent’s needs. Dual diagnosis programs: These programs are offered at both inpatient and outpatient facilities. They are geared toward people dealing with both substance abuse and co-occurring mental health disorders, such as depression, schizophrenia or bipolar disorder. Many people use a combination of these forms of treatment. For example, after discharge from an inpatient facility, a person may opt to continue care in an outpatient facility. The location of the facility. The qualifications of the treatment staff. The overall philosophy of the treatment facility or program. No medical treatments are used specifically for Ecstasy addiction. 1 However, the most effective forms of treatment include a combination of cognitive behavioral therapy, individual psychotherapy, psychosocial groups, education and self-help groups based on the 12-step approach. Physical problems such as sleep or appetite changes. Spikes in body temperature and blood pressure. Risk of contracting sexually transmitted diseases such as AIDS. Possible heart or liver failure or even death due to extreme increases in body temperature or hyponatremia (drinking so much water that the person dilutes the level of sodium in the blood). If you or a loved one is struggling with an Ecstasy addiction, it’s crucial to get help. A treatment support specialist can help you find the right recovery facility. Speak to one today at 1-888-319-2606 Who Answers? .
. National Institute on Drug Abuse (2016). DrugFacts: MDMA (Ecstasy/Molly).
. National Institute on Drug Abuse (2014). Principles of Adolescent Substance Abuse Disorder Treatment: A Research-Based Guide.
. National Highway Traffic Safety Administration. Methylenedioxymethamphetamine (MDMA, Ecstasy).